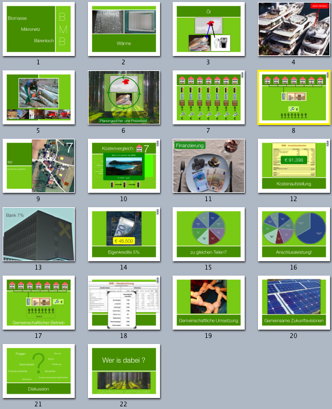 Check out the presentation slides used on thursday in Niederkappel! They supported us very well in giving all different people attending an understanding of our ideas. It worked out perfect => on monday we start with the realization planing! There are also ideas now for doing the project documentation as a website. You will find the link first here.